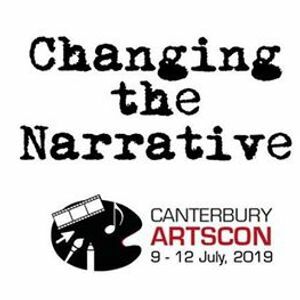 The 6th annual Canterbury Arts Conference (CArtsCon) has "Changing the Narrative" as its theme. All art tells a story—from the earliest cave paintings to Mozart’s operas to Hitchcock’s films to JK Rowling’s books to photographs of your children. Art can be an expression of someone’s mind or feelings, or it can relate events that happen, or it can create imaginary worlds for a viewer to inhabit. Even the most abstract tells a story, and all of the stories art tells take on different meanings for different people – from the creator to the audience to third party consumers. We have seen how movements like #MeToo have changed Hollywood, the films it makes and the people who make them. We have seen how people can change their environment through the choices they make, or by allowing others to make choices for them. Many organizations, too, make a difference within their communities through simple but bold initiatives. 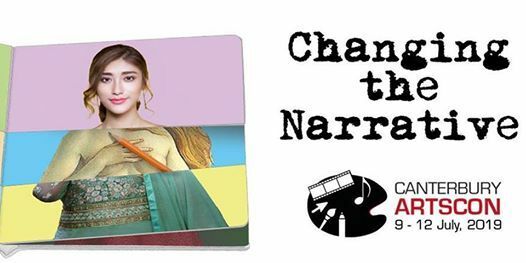 2019’s CArtsCon theme challenges you to change the narrative. Change the story. Change the storyteller. Change the protagonists. Change the medium. Does an artist make art, or does art make an artist? Can you create multiple stories for your audience? Or can the audience create art with you with their stories? Can a community change its narrative or is it fated to be whatever everyone else thinks it is or should be? Come forward and share how you have all changed narratives around you—and have narratives around you have changed. 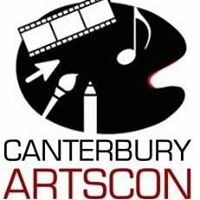 CArtsCon 2019 will take place at the Canterbury Baptist Church and Warnborough College. There is a high-speed train service on South Eastern which departs 12 minutes past every hour from St Pancras Station in London. The journey takes only 55 minutes to Canterbury West. You can also catch the high-speed train from Stratford International. Slower trains (90 minutes+) depart from Charing Cross Station, Waterloo East, and London Bridge to Canterbury West. Trains from London Victoria and Bromley South will arrive at Canterbury East. Bus lovers can take the National Express service from London Victoria Coach Station. There is Council parking around the venues. Or call 01227 762 107 for more information. Refunds will not be made if you cancel with less than 7 days' notice. Yes, you can. This is important because all participants can choose to receive a certificate of participation. The name that we have on the registration is important. Yes. If you can't make it, you can nominate someone else to go in your place. Just let us know. Only if you inform us beforehand.